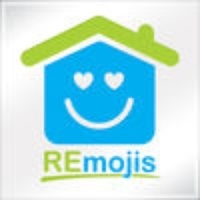 Real Estate REmojis Are Finally Here!! Don't say it with words, say it with REmojis. REmojis Keyboard Simple to use anywhere you type. Express yourself with welldesigned cartoon images. All kinds of colorful actions and expressions. You can add them to your emails, notes, Facebook, Twitter, Instagram, Snapchat, websites and just about anywhere you can type text or add images. Unique, Innovative and welldesigned images. More REmojis will constantly be added. With REmojis, you can have fun communicating with just about anyone. Download it now and enjoy the reactions. Check these links to find your download for REmojis Keyboard for & iOS or for your device iPod TouchiPhoneiPad. The app REmojis Keyboard is compatible with te following devices.